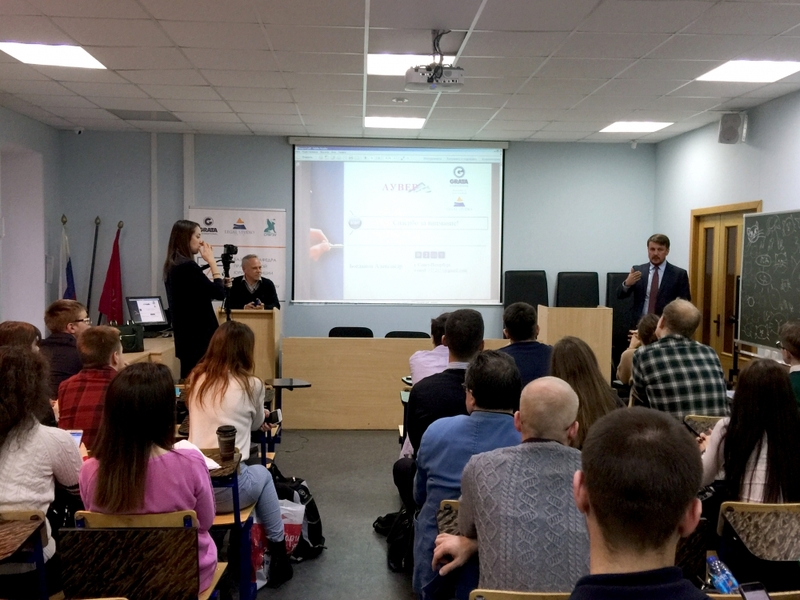 On December 17, within the framework of the work of the educational center on the basis of the Faculty of Law of Saint-Petersburg State University of Economics, an open lecture “Tools of The Digital Economy. The Second Life Of Bonds” with the participation of a representative of the Association of Participants of the Bond Market in the North-West Region, Alexander Bogdanov. In the beginning of December 2018, an agreement was signed between the Faculty of Law of SPSUE and the Legal Studio company on opening an educational center for practical jurisprudence. Now, students will be able to apply their knowledge in practice and listen to unique lectures by world-class experts in law and economics. 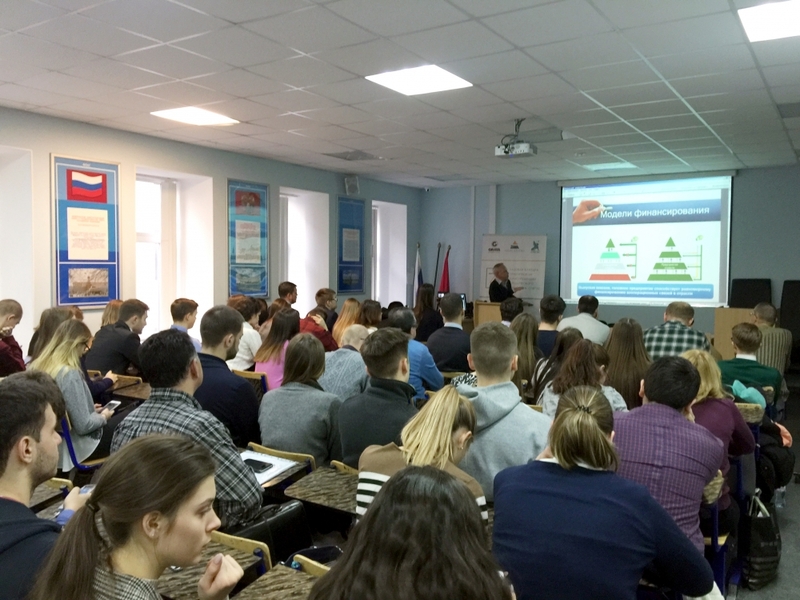 On November 16, the first lecture was held with the support of Legal Studio. California professor Samuel Bernal, a doctor in molecular medicine, gave a lecture on a promising area of jurisprudence - medical law. 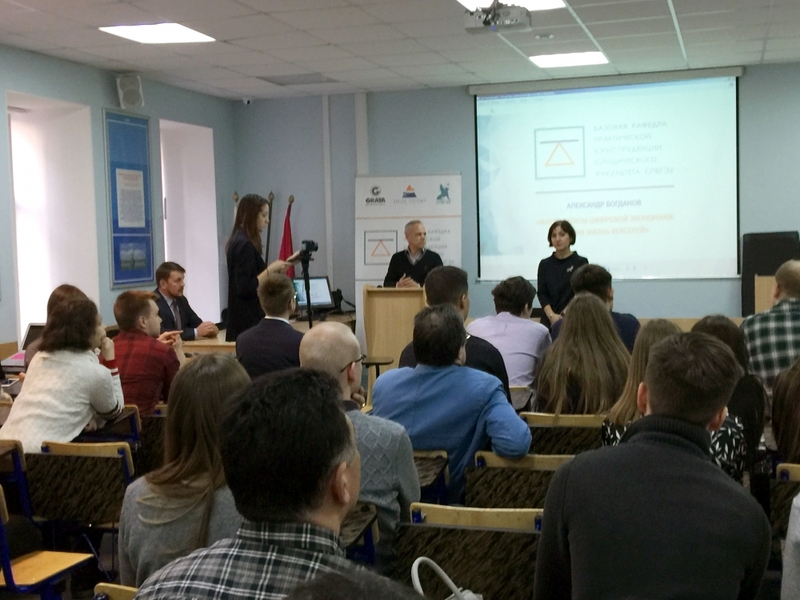 At a lecture on December 17, Alexander Bogdanov, the representative of AUVER in the North-West region, revealed the topical and important issues of digital jurisprudence. Together with the audience, the lecturer discussed the issues of new financial instruments in the digital economy paradigm. He told the students about the peculiarities of the transfer of bonds into digital format and about current trends in this area. Alexander Bogdanov also highlighted the main provisions of the securities of the real sector of the economy. The expert lecture caused genuine interest among the audience, as evidenced by the large number of questions asked. Also, at the event was presented a new financial service "Commercial Money Requirements".